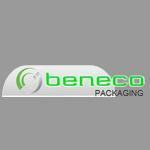 Products Carried: Beneco Packaging offers printing and graphic design services for packaging and manufactures folding carton boxes and packaging. Headquartered in Mississauga, ON, Beneco Packaging offers a complete range of box and packaging configurations, everything from frozen food and takeout cartons to retail and cosmetics packaging, and more. Their Mississauga production plant features the most advanced packaging technology.